If you are reading this, you’re probably at that time of your life where you just want to give up on relationships and love. Maybe it’s that every other date you go to turns out to be a nightmare. Or the dates are pretty decent, but there’s just no connection. Whatever the case, it has you ready to hang up your gloves, right? Please don’t. The internet has gifted all of us single gals and gents out there with loads of dating apps. These are amazing as they allow you to explore different options whether it is a Latino dating app or one for anime enthusiasts. The best way to figure out which app suits you the best is by understanding your needs, preferences, and desires. Below are reviews of 5 great apps that should help make your decision a lot easier. ChinaLove.com is without a doubt one of the most successful Chinese dating services out there. The site connects people from all over the world with single Chinese men and women interested in serious as well as casual relationships. What you should know first is that although registering on the website and downloading the app is free of charge, you do have to pay for premium services. These paid services include their live chatting feature, video calls, the “Let’s Mingle” service and much more. It’s worth becoming a member and subscribing to the monthly package though as you get a huge 50% discount on credits. While there are other free websites out there, the charges ensure that you are communicating with a serious pool of singles who are interested in meeting people from different countries. If you’ve never dated people from China before, you should give this one a try! There are many apps out there that cater to religious and spiritual preferences of clients. However, none has more users or success stories than Your Christian Date. This app couples up singles who seriously value their faith and have it as a non-negotiable when it comes to dating. For the most part, Your Christian Date is very easy to use. You have to give some basic information about yourself when starting out. You can do it through open-ended questionnaires on lifestyle, appearance, and preferences in relationships. The app is free to download and registering on the site doesn’t cost anything either. You do have to purchase a membership and credits for using premium services such as their Live Chat or Video Chat features. If your faith is very important to you and you’re looking for someone with the same priorities, try out Your Christian Date today. There are many culture-oriented dating apps out there including numerous Asian, African and Latino apps. One of the newest of these is AmoLatina.com which is truly one of the most popular Latin dating websites out there. 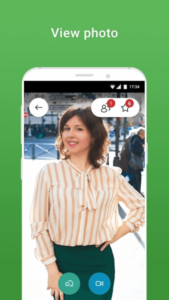 The AmoLatina app connects North American and Western European singles with members from Latin America. Users come from countries like Mexico, Colombia, Costa Rica, Brazil, and more. It stands out from other dating apps as you do not have to pay anything until you are sure you are interested in someone. This means no time or money wasted. The first step is signing up. Here, there are no costs. All you have to do is set up a profile and get browsing. Going through the women’s profiles is also free. When you find someone you would like to get to know better; you can send an introductory letter for free. However, if you want to use the Live Chat feature, you have to purchase a membership. The payment is based on credits and allows you to communicate in different ways including texts, calls and even video chats. This easy, effective and low-risk program is what makes it one of the best Latin dating apps out there. This site is dedicated to older people looking to get their groove back on. It could be that you are divorced, have lost the love of your life or never found them in the first place. Date My Age finds matches for everyone from casual relationships and friendships to serious long-term relationships. It is currently considered one of the best dating apps for singles over the age of 40 with the largest member pool in this demographic. The layout is very similar to other dating apps. Users set up profiles and post pictures that are open for viewing by other members. They then get to contact their love interest through Live Chat or Video Chat (which are paid services). It is fun, easy to use and a great option for older singles. People interested in dating gorgeous Arabian singles can’t do better than the ArabianDate.com mobile dating app. 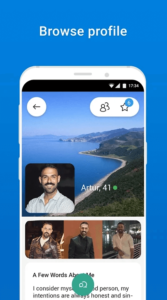 The app is designed to connect you with exotic men and women from countries such as Morocco, Egypt, Tunisia, and more. The app is very easy and straightforward to use. You can download it for free and set up your profile in a couple of quick steps. You can also browse profiles of other members for free and send your first introductory letter without a charge as well. 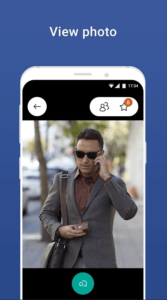 If you want to swap photos, send messages or conduct video calls, you’re required to purchase a premium membership and credits. ArabianDate is perfect for singles who are looking for love outside of the Western world. Try it today! After all is said and done, knowing what you are looking for is the best way to succeed with dating apps. However, it doesn’t hurt too much to take the free spirit route and explore different options either. Just go for whatever makes you happy, be it a Christian match site or a Latina dating app. In a nutshell, take your time choosing the website and getting to know new people and keep an open mind. And above all, have fun – it’s never that serious.